Whether you have one or many brands of forklifts, we’re your best source for forklift parts! Our nationwide network of parts sourcing has access to over seven million parts! We’ll find the parts you need for your equipment… Fast ! 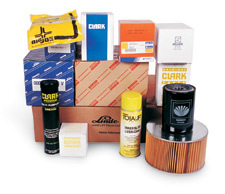 We stock a large inventory in our warehouse and on service vans. Most parts that must be ordered can ship in 24 hours. Call our Parts Department: 419-531-6110.